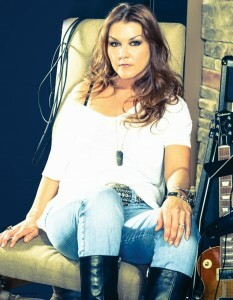 Country songstress Gretchen Wilson burst onto the scene ten years ago with her debut single ‘Redneck Woman’. A top 50 hit here in Australia and a No.1 hit on the US country charts, it was released via Sony Music and remains her biggest hit to date a decade on. But there’s still plenty of love for the singer here in Australia, even beyond the country music fraternity, so Chugg Entertainment has today revealed that she’ll play two headline shows while in the country for CMC Rocks The Hunter in the middle of March. She’ll play Melbourne’s Palais Theatre on Wednesday March 12 before heading to Brisbane for a gig at Eaton’s Hill Hotel on Thursday March 13. Tickets for both shows are on sale from 9am on Wednesday January 22.